This isn't new to us at our school...teaching about sustainability, energy, or even reducing, reusing, and recycling. We are a Green and Healthy School and with that comes some responsibilities when it comes to these concepts, but how can a classroom teacher integrate these ideas in a quick and effective way? Reduce time in teaching these concepts by integrating a fun picture book that gets at the heart of helping the earth, conserving energy, or living a healthy life style. 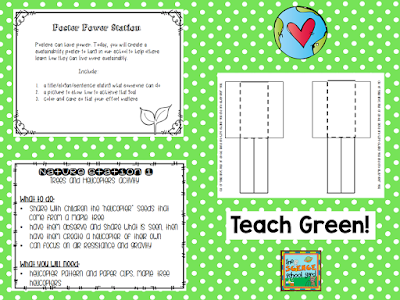 Reduce time by using an activity easily found on the internet or use this freebie from my Earth Day Pack to help start you out! Sometimes it is nice to reuse an old lesson, but you just need a little refreshing! 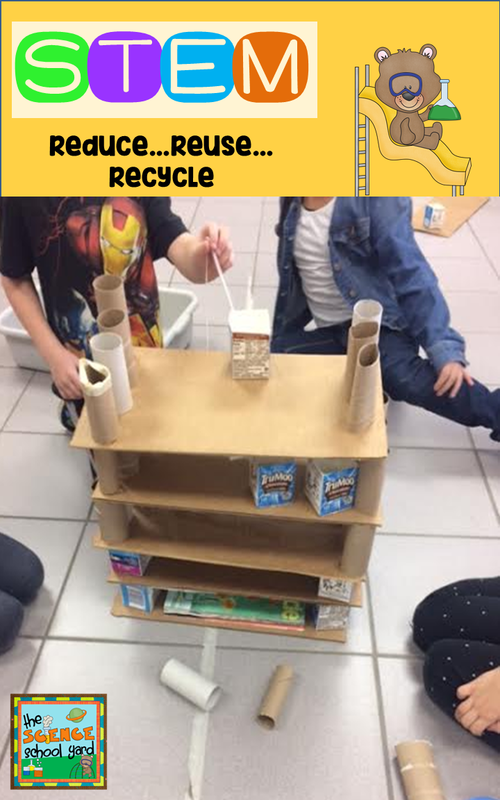 If you have a lesson on helping the Earth...how about save milk cartons, cut up cardboard boxes, and toilet paper rolls and now you have reusable supplies that build great towers! This is great for so many grade levels! Teaching kids how to recycle and what to recycle is a great way to encourage a life long way to help the Earth. A fun game you can play is Separate the Trash. Bring in recyclables. Make cards labeled: glass, plastics, paper, garbage. Have teams take turns separating the trash and learning what is recyclable! You can even have them share ways to reduce or reuse items that are brought in. A great art project can stem from this activity, too! 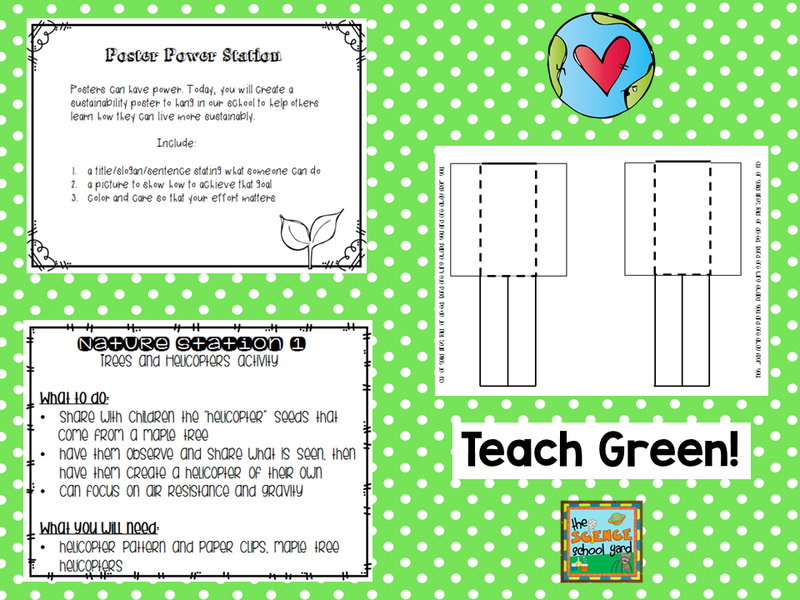 Teaching sustainability is a great way to help kids become green and healthy.